Motivating practitioners and encouraging them to return is fundamental to increasing the size of classes and the progress of participants. 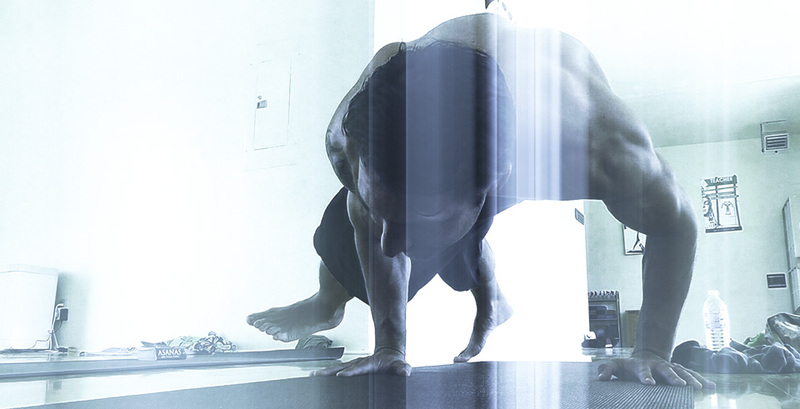 Combine the latest research, proven sound techniques and practitioner's needs to design the most effective cutting edge yoga class. In this course you will learn how to identify many aspects of motivating students. In the physical exam you are asked to demonstrate motivation techniques essential to any good yoga teacher. The written exam consists of multiple choice related to teacher motivation skills. Blend these elements together in a safe and effective yoga class to present a well balanced healthy experience for practitioners. To be able to best protect the class practitioners an overall fitness evaluation must be applied to each individual so that limitations and body ability may be known. This is however quite impossible in a normal yoga class environment. Instead yoga teachers should analyze practitioner's ability during a yoga class and increase the intensity while continually monitoring practitioners for signs of stress, fatigue or an inability to comprehend. It is necessary to tap in to the feelings and emotions of practitioners to gain a full understanding of their abilities. Understanding what may be causing emotional distress to individuals helps an instructor to intervene and encourage a positive mental and emotional outlook on the practice of yoga. The choice of yoga postures and they way they blend greatly affect the practitioners experience and their likelihood to adhere. Instructing yoga practitioners correctly allows them to follow new yoga flows flawlessly. Poor instruction or tone of voice will leave practitioners confused and unable to follow along decreasing their likelihood to return. Proper playlists of music greatly enhance the practitioners experience especially when designed around the sections of the class. Such as upbeat music during the faster more cardiovascular sections, proper wind down music and soothing meditation and relaxation music. When all these aspects are balanced the class atmosphere will be greatly enhanced in a positive way. In many cases music selection can be one of the most attracting factors in encouraging practitioners to return to class. Music will also reduce the amount you actually have to say during class. Poor music selection can totally disturb the atmosphere and quality of a yoga class. Using special visualization techniques and proper presentation allows practitioners to have a pleasant and quite often enlightening experience. Guided relaxation is usually done in savasana, a pose that involves lying on the back, at the end of class. Methods of encouraging deeper relaxation through verbal cues have been proven to greatly increase the depth and experience of relaxation during a yoga class. Yoga instructors should spend some time preparing yoga sequences, accompanying music and topics to be covered during class in order to present a high quality yoga class. Studies have shown that high quality presentations of yoga result in a higher occurrence of practitioners returning on a regular basis. Another method of encouraging a practitioner to return is making practitioners feel comfortable and welcome when they arrive, practice and leave. Make a special effort to open heatedly greet practitioners. Try to use word associations to better remember practitioner's names. They will appreciate it. This could be addressing the group as a whole on topics such as progress in alignment. Another example is approaching someone who is very new to yoga and giving them a little help and encouragement while guiding the rest of the class. There are thousands of ways to connect with practitioners either as a whole or individually during a yoga class. Learn ways to recognize practitioner progress in many different areas. High quality yoga instructors guide practitioners though yoga classes with ease and care. During a yoga class instructors try to implement the following within practitioners. Helping students gain self sufficiency. Setting realistic goals for practitioners and rewarding them when they are achieved. The type and amount of information a practitioner can understand depends on their current stage of progress in yoga.